Why would anyone want to know how to cook pumpkin seeds? Most of the time pumpkin seeds are discarded without the thought of eating them. The seeds are very high in protein; almost as high as peanuts. They are high in unsaturated vegetable oil, rich in the vitamins B and a source of vitamin E.
In the outer covering, the seeds are high in fiber. You can see why cooking pumpkin seeds can make a good addition to the diet. Scoop out the seeds; Wash them and let dry; Bake on an oiled baking sheet for 1 hour at 250F degrees. Pumpkin seeds can also be fried and salted. Also can fry the seeds in a little butter heated and brown; lightly salt. To eat pumpkin seeds, crack the seeds open with your teeth and eat the kernel and throw the hulls away. Try grinding pumpkin seeds and adding to meatloaf recipes, meatballs or burgers. Roasted pumpkin seeds can be added to the top of fresh salads or in stir fries. Chop some in pieces for your next batch of cookies or cake recipe. How about some roasted salted pumpkin seeds chopped into some fresh hot biscuits. 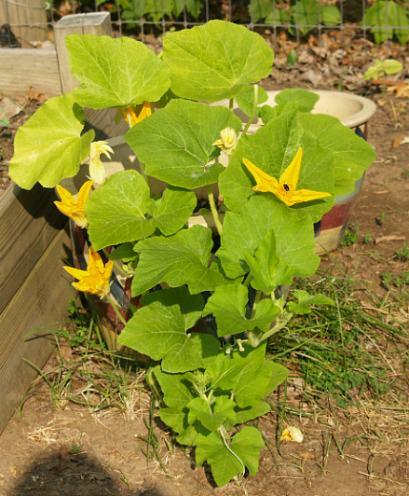 You will be surprised at the added flavor when you are learning how to cook pumpkin. Cream together the butter and cream cheese; beat with mixer until smooth. Add the pumpkin, cinnamon, allspice, nutmeg and sugar; blend well. Beat in the orange juice and chill overnight or for several hours. When ready to serve, spoon into a serving dish and sprinkle top with chopped roasted pumpkin seeds. Serve with crackers or a sweet bread. Combine pumpkin, tomatoes, soy milk, vinegar and butter in a Dutch oven. Simmer for at least 1 hour stirring frequently; add hot pepper sauce, salt and pepper to taste. Top with toasted pumpkin seeds to serve. When you know how to cook pumpkin seeds you will always want to keep extra on hand. Pumpkin seeds are a great addition to many recipes like the one below! Put cabbage in bowl with the carrot and red onion; toss to mix and to separate the pieces. In a small bowl combine sesame oil, sugar, vinegar, mustard and salt; add to vegetables and mix. Refrigerate for at least 1 hour to marinate vegetables in dressing. How to Toast Sesame Seeds: Toast to bring out the flavor; place seeds in a heavy skillet over medium heat. Let set for 30 seconds then begin to shake seeds until they turn uniformly golden brown. Move seeds to small plate and let cool. 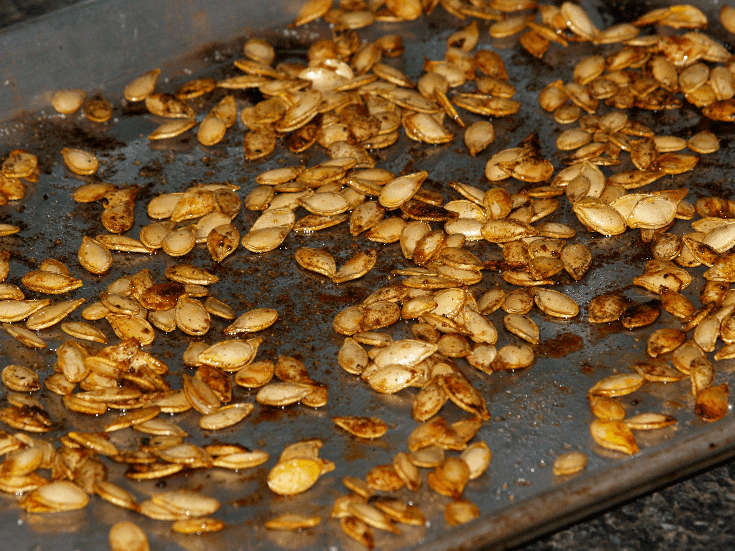 Roasting Pumpkin Seeds: When you learn how to cook pumpkin seeds by placing them along with fibers in a colander. Run cold water over them, separate and rinse seeds. Spread seeds on baking sheet and bake in a preheated oven at 325F degrees for 20 minutes. Stir in 1 tablespoon olive oil, fresh ground black pepper and salt. Bake 40 minutes longer stirring from time to time. Serve over the salad.